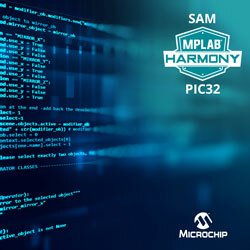 Microchip has released a unified software framework with the release of MPLAB Harmony version 3.0 (v3), increasing support for SAM MCUs for the first time. The powerful development environment is progressively adding support across the company’s complete portfolio of 32-bit PIC and SAM MCUs, providing developers with more options to satisfy different end application demands. The new version supports developers to simplify and scale designs and adds improvements to streamline designs, such as royalty-free security software through a partnership with wolfSSL. Modular software downloads enable designers to only download select portions of software based on the needs of an application. MPLAB Harmony v3 gives a unified platform with flexible choices spanning architectures, performance and application focus, allowing developers to learn and manage a single environment on their computer. To support different software development models from basic device configuration to RTOS-based applications, the framework aids designers from having to download the complete software suite when they only require to use small elements or components of it. For example, developers can now easily download device drivers or a TCP/IP stack as their application needs, saving time and hard disk space. To further streamline development, the software highlights simplified drivers and optimised peripheral libraries. This relieves developers from spending time and effort on lower level drivers, enabling them to focus on differentiating applications. To lessen embedded security design cycles for customers, the company has partnered with wolfSSL to achieve elements of the company’s security suite software in the framework. The multi-year agreement with wolfSSL offers developers ready-to-use, royalty-free software-based security solutions that emphasise size, speed, portability and standards compliance. Customers can go into production with a free commercial licence at any time during the agreement and will have access to the following elements of wolfSSL’s suite: wolfSSL TLS Library, wolfMQTT Client Library and wolfSSH SSH Library.